Wellington Photography – Amazing weddings and portraits. Inspired wedding pictures and timeless memories, romantic portraits and engagement images taken with fun and style. Paul and Lynnette’s relaxed approach and creativity as a photographers enables them to produce romantic and memorable pictures of your wedding. Your wedding is one of the most important days of your life. 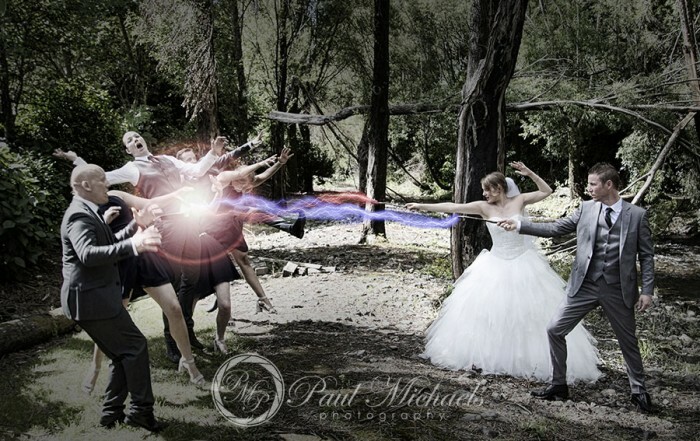 Let Paul Michaels Photography capture all the moments, people and places that make your marriage so special. Browse some examples of the unique images of Paul Michaels Photography or make an enquiry to find out how we can help you get the most from your wedding day. Find out how to get the best photos on your wedding day and when you should book your photographers in our FAQs. Since taking my first professional photos back in the 90’s with a Hasselblad camera, I’ve loved the art of image making. In 2005 I started on a digital journey making images all about the “moment”. It’s still about lighting and making people look great, but the magic of the “now”, the capture of the event and emotion of the day is what people want. I love it ! Lynnette joined me 5 years ago in the pursuit of creating great picture. Together we have had a lot of fun weddings, some lovely couples and some truly beautiful ceremonies. Consistently surpassing our bride and groom’s expectations, both for the day and in the final images produced. Enjoying the art of picture making has also meant achieving awards and competition wins. A highlight of 2013 was achieving first place at the New Zealand national gold awards. Beating all the other New Zealand professional photographers. Creating awesome photos and making the very best of every event, ceremony and photoshoot is very important to us. Although we don’t do many competitions now, we still look forward to capturing amazing images at every wedding that we have the privilege to photograph at. Recent Celebrations, Photo shoots and Events. We couldn’t have dreamed of more, thank you both very much. Jarrod & Nikki. , Palmerston north bride and groom. I am writing to you both and THANKING YOU for the enormous amount of personal & creative energy, care and professional commitment in capturing each moment on our wedding day. Sarah and Ross. , Married in Brisbane nsw. OMIGOD these are so wonderful. You’ve really done an amazing job of capturing the day. We are so so so happy with these. Thank you again – we love the photo’s. Matt and Gabby. , Married at Palmerston North. OMG THANK YOU SOOO MUCH’ They are just gorgeous! I am very very very happy with them. Paresh and Michelle. , Ceremony at the lodge at the inlet, Wellington. Thank you both very much for making our wedding day so wonderful & memorable. Karlene and Neil. , Lower Hutt ceremony and reception. How can we ever thank you enough for the beautiful photos!! Shaun and Leesa. , Capital city bride and groom. Engaging the right wedding photographer to capture your big day is crucial, so browse some examples of the unique and personal images of Paul Michaels Photography, or contact us to find out how we can help you capture the best memories from your special day. See our FAQs for some tips on gettign the best photos on the day, what to look for when choosing professional to share your day. Check out our blog and to get a feel for our style, and how we work with you to tell your unique story; whether it’s a fun and funky photoshoot, or a romantic marriage ceremony in a grand location. Enjoying the art of picture making has also meant being able to taking part in professional competitions and winning many awards. I am humbled to have received first place in the New Zealand National Kodak Gold Awards with so many talented photographers in this country. Creating beautiful, memorable photos and capturing the very best of every event, ceremony, and photoshoot is extremely important to us. It’s about the people and the emotion, so whether you get married in a grand location, on the beach, or the local park. We’ll make beautiful images for you and your partner.